Notable for his roles as Lieutenant Burnett and Captain Adam Fuller on the respective television series The Equalizer and 21 Jump Street, he is also notable for his recurring role as Mr. X on The X-Files. Early in his career, he appeared in the 1975 film Cooley High. He played Detective August Brooks on the late 1990s series L.A. Heat. He spent his earliest days in Memphis, Tennessee, and the bulk of his childhood in Chicago, Illinois. His nephew, Aaron Williams, had a successful career as a cartoonist. 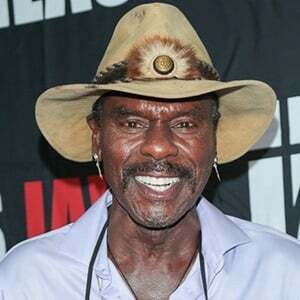 He and Pam Grier were both in the main cast of the short-lived Showtime series Linc's.